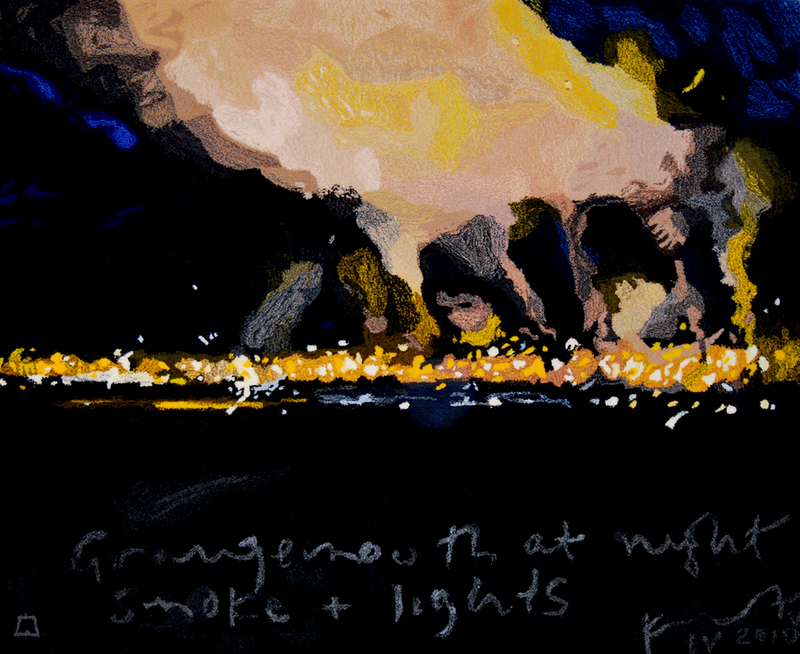 A great campaigner for sustainable living, Jackson revels in the genuine wildness of the Scottish landscape.This image by Kurt Jackson, of the oil refinery and chemical works in Grangemouth on the river Forth, depicts diabolical flames belching an unnatural yellow smoke into the dark skies. It works ever more powerfully on this enormous rug where the most natural wools have been tufted into this remarkable image. Edition 4/7 will be on display at Messums Wiltshire from 9 March – 28 April 2019 as part of exhibition Material: Textile. Please contact info@dovecotstudios.com to enquire about lead time on commissioning the next edition.